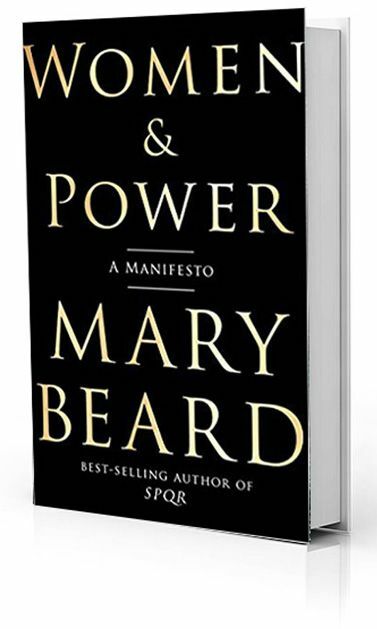 Mary Beard is “a kind of folk hero for feminists of all ages,” and for good reason, said Kate Tuttle in the Los Angeles Times. In her latest book, a pocket-size volume based on a pair of lectures, the esteemed British classics scholar fights back as she always has against the bullies who seek to silence women: with wit and deep learning. In Women & Power, her goal is to illuminate how power has always been defined in Western culture in a way that pushes women to the side. Pick up The Odyssey, Beard says, and in the opening pages you’ll find Penelope in her palace being told by her son to shut up and return to her weaving, because, in his words, public speaking is “the business of men.” And that wasn’t just one ingrate’s opinion: To be a man in ancient Greece required being able to silence women, just as Telemachus did, and to hold forth in the public sphere. Similar “graphic and foul” examples quickly follow, said Jacqueline Rose in TheGuardian.com. Aristotle, we’re told, held that the very sound of women’s voices was proof of their wickedness. In Greek myth, the princess Philomela was raped and had her tongue cut out to prevent her from reporting the crime. A similar fate befell Medusa, who, in Ovid’s telling, was raped by Poseidon and further punished by having her hair turned into serpents. Beard draws a direct line from that tale to a popular cartoon image from the 2016 U.S. presidential campaign that showed Donald Trump holding the severed head of a Medusa-like Hillary Clinton.